Make sure skin is exfoliated and well moisturised. When wearing heavier makeup (which we tend to do on nights out) the texture of the skin can become more visible so keep it smooth. Try to leave moisturiser to sink in for atleast 30 minutes in order to stop makeup "sliding off". Always use a face primer. Even if you don't have oily skin, on nights out people tend to get hot and sweaty (Grose but true) which makes your makeup patchy and leaves your skin looking shiny. I recommend The Body Shops Matt It 02 Primer. Its helps absorb oil and leaves your skin feeling smooth. DO NOT use more foundation that usual- You will not look better! DO NOT go a shade or too darker to add a tan, especially in summer. In summer its doesn't get dark till 9/10 and that darker foundation will show up. TANGOED! DO NOT use concealer that is more than 1 shade lighter than your skin-tone. If the concealer is too Light and too much is applied, it can create a white ring under the eyes in photographs which will not look good. Always set your foundation with a Matt Powder to help it last longer. Don't go too heavy on the powder though, you don't want to look over-done when in brighter lights. 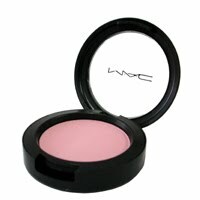 Stick to Matt Bronzers and Blushes as they photograph nicely. Matt Bronzers are my weapon of choice and contouring should never have shimmer or sparkles. Add SUBTLE Highlight but avoid the nose and forehead if your skin has the tendency to get shiny. Always prime your eyes to help your eyeshadow last longer. Avoid using too many COOL tones on your eyes as these tend to stand out in photographs. Do not put lots of Eyeshadow on your brow bone, sometimes less is more: Especially with a smokey eye. Let your eyes, lashes and liner stand out. Instead highlight with a matt skin-tone eyeshadow. Use Waterproof Mascara and Eyeliner on the lower lash line to avoid smudging. Have some lovely girly nights out ladies. Let me know if you want more posts like this. 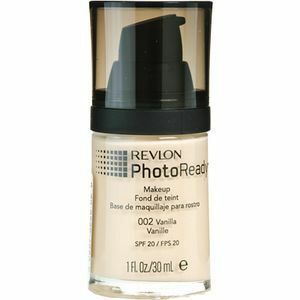 love the post, just to check on the 'use foundation without spf' is photoready an exception to this? On the pic it look like it's got spf 20.